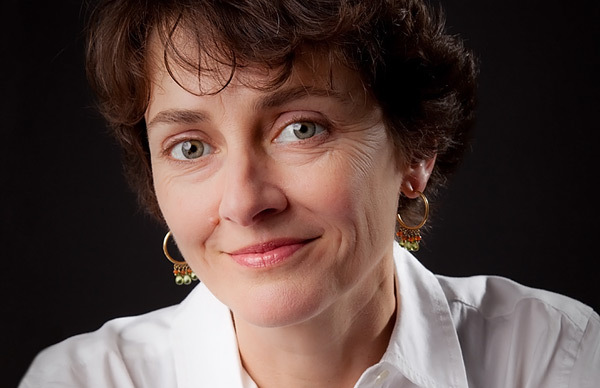 Leaving a lasting and memorable impression on millions of readers with her perennial New York Times bestseller, The Guernsey Literary and Potato Peel Pie Society, Annie Barrows also connects with younger audiences through her beloved Ivy & Bean children's series. Her most recent adult book, The Truth According to Us, is an intimate family novel about love, history, and truth in a small Southern town. Annie Barrows was born in 1962 in San Diego, California, and moved almost immediately to a small town called San Anselmo in the San Francisco Bay Area. She spent most of her childhood at the library. She wouldn’t leave, so they hired her to shelve books at the age of twelve. Barrows attended UC Berkeley and received a B.A. in medieval history. Under the impression that a career in publishing meant she’d get to read a lot, Barrows became a proofreader at an art magazine and later an editor at a textbook publishing company. In 1988, Chronicle Books hired Barrows, where she rose through the ranks to become a senior editor. 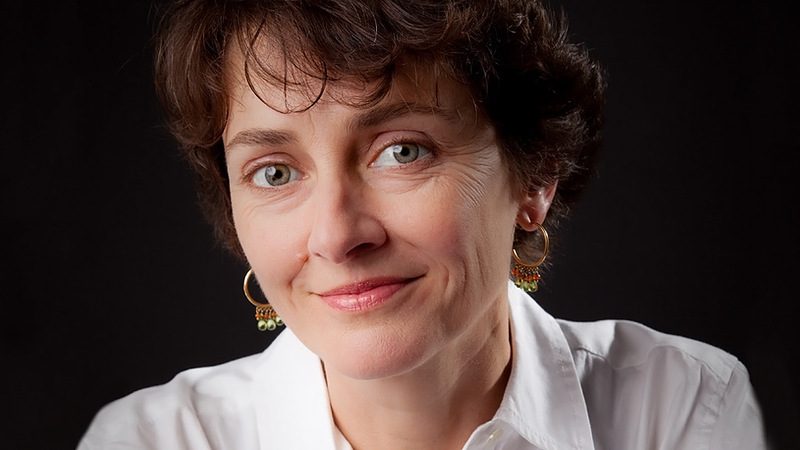 After receiving an MFA in Creative Writing from Mills College, Barrows began writing full-time. 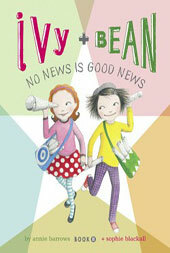 The first book in her New York Times bestselling children’s series Ivy and Bean was published in 2006 and was an ALA Notable Book for 2007. It was followed by nine others. Her 2008 award-winning children’s novel The Magic Half was described by School Library Journal as “a delightful tale brimming with mystery, magic, and adventure.” The latest novel in the series, Magic in the Mix, was published in 2014. While Barrows was producing her children’s books, her beloved aunt Mary Ann Shaffer, who had also spent her career working with books, had started a first novel about the German occupation of the Channel Island of Guernsey during World War II. However, she fell ill soon after selling the novel to the Dial Press, and, to complete her revisions, she called on her niece Barrows, who saw this “as a unique occasion to help someone I loved.” Sadly, Mary Ann died before seeing her novel published, but the novel itself stands as a moving legacy to her dream. 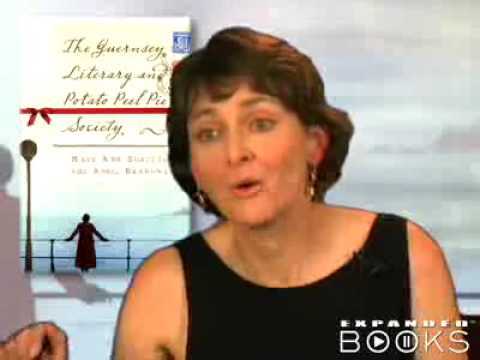 The Guernsey Literary and Potato Peel Pie Society has been a publishing phenomenon, resulting in well over three million copies in print in both hardcover and paperback and speaking engagements for Barrows all over the United States. Guernsey was on more than fifteen “best of the year” lists and has now been published in 37 countries.Studiocanal has recently completed production on a film adaptation of Guernsey starring Lily James and Michiel Huisman. The film is set to be released in 2018. Barrows lives in Northern California with her husband and two daughters. Annie was fantastic. She was funny and charming. One of our patrons who never misses an author presentation, said she felt she was the best we ever had. There is much to recommend this book: The characters are engaging, the historical details appear thorough and accurate, and there are sufficient conflicts and plot twists to render a compelling story. . . a pleasant summer read. A big, juicy family saga with warm humor and tragic twists, 'Truth' is lively and engaging . . . . the story gets more and more absorbing as it moves briskly along. [A] heartwarming coming-of-age novel . . . Sparkles with folksy depictions of a tight-knit family and life in a small town. . . In a novel full of richly drawn, memorable characters, bright, feisty Willa is the standout. . . Add The Truth According to Us to the stack of repeat-worthy literary pleasures. It takes a brave author to make the heroine of a new novel an observant and feisty girl . . . Like Scout Finch in To Kill a Mockingbird . . . Barrows . . . has created a believable and touching character in Willa. Annie Barrows creates a worthy successor to Lee’s beloved Scout Finch….The Truth According to Us has all the characteristics of a great summer read: A plot that makes you want to keep turning the pages; a setting that makes you feel like you’re inhabiting another time and place; and characters who become people you’re sad to leave behind — and thus who always stay with you. As Jottie tells Willa at the beginning of the book, the ‘Macedonian virtues’ are ferocity and devotion. The Truth According to Us is the sort of book that inspires both. . . .as delightfully eccentric as Guernsey yet refreshingly different. It’s an epic but intimate family novel with richly imagined characters, an intriguing plot and the social sensibilities you would expect of a story set in the South . . . . Many tragedies haunt the Romeyns, including the dissolution of Felix and Sylvia Romeyn’s marriage. The traumatized girls, Willa and Bird, are exquisitely portrayed and the lasting damage caused by the abandonment is sensitively rendered. Willa’s indomitable spirit, keen sense of adventure and innate intelligence reminded me of two other motherless girls in literature: Scout Finch in Harper Lee’s To Kill a Mockingbird and Flavia de Luce in Alan Bradley’s big-hearted British mystery series. If Guernsey is a tribute to the power of books, The Truth According To Us is a testament to the toxicity of secrets . . . . Just as we did in Guernsey, we empathize with the characters as if they’re our neighbors. Macedonia is a great place to spend some time this summer. The temperatures are soaring, but it’s nothing compared to the heat generated by this sizzling story. Barrows . . . hits the mark again with this delightful yet at times heart-wrenching story of life in a Depression-ridden small town. Fans of [The Guernsey Literary and Potato Peel Pie Society] will find parallels in this novel’s blend of narrative and epistolary chapters. A warmhearted Southern charmer that is sure to captivate readers. Barrows brings a deft, light, yet crisp probing touch to this confluence of tender people confronting tough circumstances. [Guernsey] affirms the power of books to nourish people during hard times. A book-lover's delight, an implicit and sometimes explicit paean to all things literary. I can't remember the last time I discovered a novel as smart and delightful as this one, a world so vivid that I kept forgetting this was a work of fiction populated with characters so utterly wonderful that I kept forgetting they weren't my actual friends and neighbors. Treat yourself to this book please. Traditional without seeming stale, and romantic without being naïve. Official Website for "The Guernsey Literary and Potato Peel Pie Society"